Question: We have been having an internal debate about whether or not our CEO needs to blog. Do you think it makes sense for a CEO to create blog content? Do you know what most CEO’s favorite way to respond to a question is? How about with another question. It must be in the way they are wired, but CEO’s love to ask questions and sometimes they seem to do their best to avoid answering them. So here is a question for you. Does it make sense for the named leader and market figure head of a company to use the power of the internet to build relationships, trust and community with your current and potential clients? The obvious answer is yes, right? Of course it is, and your CEO should absolutely be blogging (or have someone blogging in their name), and here is why. Relationship Building: In most businesses whether B2B or B2C, people will now look you up online to learn more about your company, your products and services, and your digital personality. They seek to find companies that not only offer the products and services that they are looking for, but also companies that they like. Very similar to how offline relationships are built. The CEO of the company has the power to build instant rapport through a blog since people will gravitate toward what the company leader has to say (so long as the message is positive) and they will feel more connected to the company because of it. Creating Trust and Community: Sales 101 will tell you that people buy from people, not businesses. More specifically, people buy from people that they trust. Sorry to “Slick Rick,” the used car salesman, but that is an old school way of thinking and in a more informed world people don’t want to deal with that type of sale. The CEO and/or other top executives are great candidates to use blog content to create trust with a business’s clients and community. It gives them the opportunity to message to many at one time in a way that is compelling and very “human.” Two elements to gaining the trust of your audience. Through building meaningful relationships and therefore trust, you will help increase the effects of other content efforts. The CEO becoming part of the story will help overcome the difficult getting to know your business part of the sale and will also help people stay part of the continued journey once they start doing business with you. In short, the question is not whether your CEO should be blogging. They should. It really comes down to their frequency, what they should write about, their voice and how to make it work for a specific business. 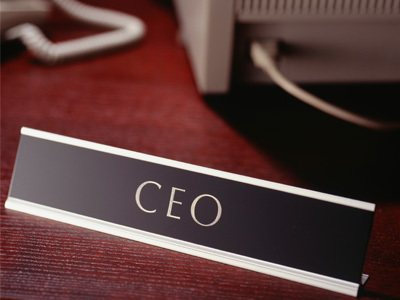 Does your CEO Blog? We’d love to hear about your success stories with this (or your nightmares)? This post was originally featured on BroadSuite’s Blog and can be found here.